In the aftermath of the Supreme Court on Aadhaar, it has become mandatory for services/institutions to provide ways to delink citizens' unique number. 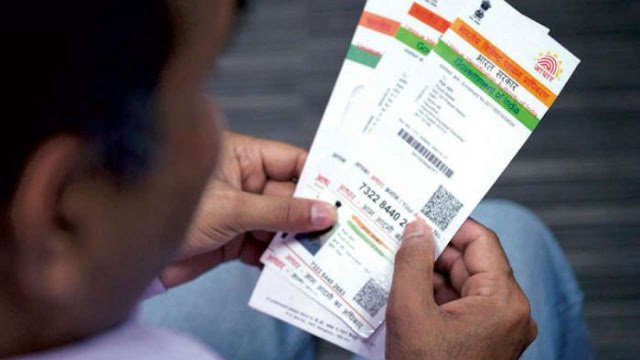 The court ruled that Aadhaar is no longer mandatory to be linked to your bank account, phone number and digital wallets. If you are one among the sceptical common man who reluctantly linked your Aadhaar with banking and mobile service firms, here's how you can delink it. In order to unlink Aadhaar from your mobile phone, visit your telecom service centre and submit a form. Fill the form and submit. Aadhaar should be delinked by the service provider within 48 hours. The Compendium of Regulations of the Unique Identification Authority of India (UIDAI) said this today with regards to delinking of Aadhaar and bank account: "The Aadhaar number holder may, at any time, revoke consent given to a KUA for storing his e-KYC data or for sharing it with third parties, and upon such revocation, the KUA shall delete the e-KYC data and cease any further sharing." However, to delink Aadhaar from your bank, there is no easier way as of now except to submit an application to your local bank branch with reason to revoke consent for storing e-KYC data. Banks should provide an easier method to delink Aadhaar with their database immediately. Since, private companies are not to make Aadhaar mandatory for delivering services, digital wallets like Paytm, Airtel Money, Jio Money etc they should immediately provide means to delink Aadhaar number. As of today, Paytm has allowed alternative ways to authenticate user accounts with documents like PAN card, Driving License, Passport, etc. New users can also complete the identification process without submitting Aadhaar. It is not yet known how digital wallets providers will allow delinking of Aadhaar. Watch out this post for updates.